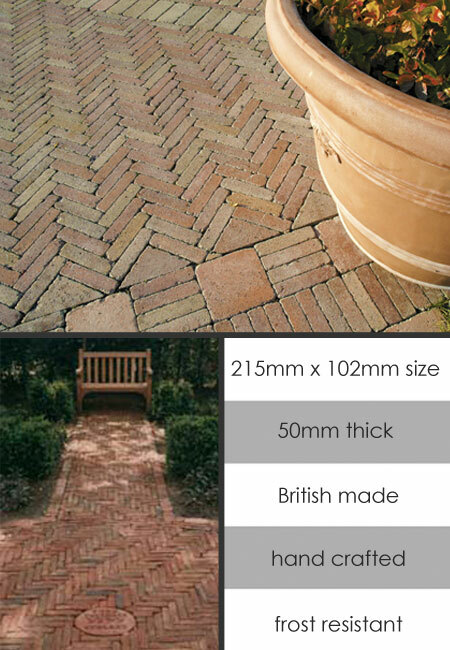 Slim English brick paving can be laid to great effect in many geometric designs. This handmade paving is a beautiful addition to any traditional English town or country garden. Handmade in England, these paving bricks are fully frost resistant which is a must for the UK climate. Each terracotta floor brick is 215mm x 102mm x 50mm.  English made brick paving.  Ideal for English gardens.  Minimum order quantity of 5m2.  Shipping charge of £65 + VAT.